1 gallon amount for tissue testing and 2 cups for soil testing. For full pricing list on all products, click here! To find and print a form, click "More..." at the top of the page and select the "Submission Forms" tab. Dicamba's SD legacy and future: Will 2018 signal more hostility? 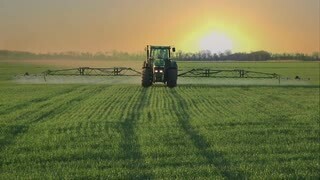 What is Making Dicamba Move? ​at the top of the page. To provide unbiased, quality analytical and technical services to citizens and industries of the state, to regulatory agencies in support of consumer product regulation, and to the university community in support of scientific research. To conduct related research programs of value to the state and agricultural communities. To educate and consult with clients and educators. SD Ag Labs - your one-stop, specialty shop for pesticide testing. ​We have had many great compliments regarding our pesticide program and have added many more active ingredients to our pesticide testing arsenal. We have expanded our pesticide section including new instrumentation and more personnel to better serve our customers. Remember – we are your one-stop, specialty shop for pesticide analysis! Unsure what to test for? Click here!